2018 Cargo Mate 28ft NEW! X- Press 8'6" x 24' Tandem Axle with upgraded Car Carrier Package in Crystal White Exterior Color. 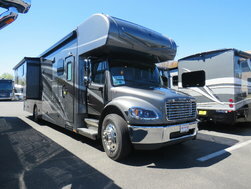 Custom build your new Renegade Classic with SportTruckRV - Renegade's ONLY full-line dealer!